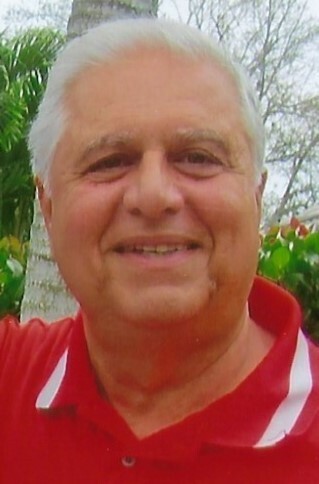 Frank Thomas Gagliardo, 73, of Naples, FL, formerly of East Hanover, NJ, passed away on August 6, 2018 from complications due to a short battle with Renal Cell Carcinoma. Frank was born on September 23, 1944 to Josephine and Frank Gagliardo of Bayonne, NJ. He spent his adolescence in his hometown working numerous jobs in the grocery business. After graduating from Marist High School, Frank went on to the Newark College of Engineering and earned a B.S. in Engineering. He continued on to Stevens Institute of Technology earning a Masters of Science Administration. He began his career as an Electrical Engineer with Westinghouse Electric. Over the years, Frank held various positions with other companies, retiring as a Project Manager with Siemens Westinghouse. He is survived by his wife Marie (Fortunato) of 51 years and was the proud father of five children. Joseph (Steven Betts), Tina Varneckas (Vid), Anthony (Gina), Frank (Lisa) and Vincent (Stephanie) and eight grandchildren, Sabrina, Anthony, Alexa, Ava, Giuliana, Generoso, Frank IV and Vincent. Frank especially enjoyed painting, swimming, golf and playing bocce with all of his Island Walk friends. He was "Grandpa or PopPopPop" to his loving grandchildren and found great pleasure painting with them. However, his favorite passion was travelling with his wife, Marie and retiring to what he called "paradise" (Naples, FL). Frank wanted to share a special message with respect to his Sicilian Tradition: "Mia Famiglia e gli Amici: Con tuto il mio cuore e l'anima, grazie tanto, soggiorno anche per cento anni. Sa'benedica!" which means "To My Family and Friends, With all my heart and soul, much thanks, stay well for 100 years! With all respect!" A funeral mass will be held today, Friday, August 10 at 10:00 a.m. at St. William Catholic Church, 601 Seagate Drive, Naples, FL 34108. A memorial service will be held on Saturday, August 18 at 11:15 a.m. at St. Rose of Lima Church, 312 Ridgedale Ave, East Hanover, NJ 07936. In lieu of flowers, memorial contributions may be made to the St. Jude Children's Hospital, (www.stjude.org) or Shriner Hospitals for Children, (www.shrinershospitalsforchildren.org/shc).